Smart marketers are constantly testing. 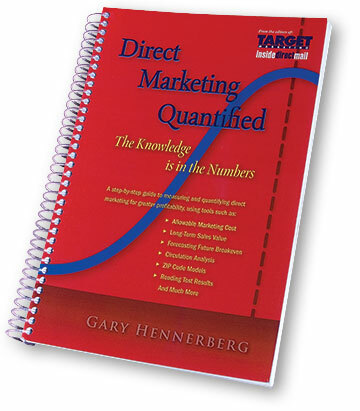 In direct mail, the tests tend to be for the offer, positioning, format, or more. Same for email and about every other channel. Ultimately, the question is what variable gets you the biggest bang for the testing dollar? And which test delivers the most favorable cost per new customer acquisition? Your offer is highly influential in your response. If you’re testing price (most typical), you can test dollars off or percent off. I’ve found dollars off to be best, but every market is different. Are you including a bonus or free gift? Repositioning your product—or testing a new Unique Selling Proposition—can reinvent your complete message and offer to produce sizeable response increases. A new production format can refresh an existing control. Perhaps you’ve used a #10 outer envelope for a long time. Just a switch to a #9 or #11 can make a difference. On the topic of envelopes, I like to include showstopper text and graphics, each worth about a half second of time for the recipient to pause and study the OE. I’ve found elements like faux bar codes, handstamps, seal, and more to have impact. Evaluating data overlays from models, or profiles, will yield tremendous information and insights. But if you don’t spend the time to interpret it and imagine the possibilities, you can overlook great new ideas. So with all these test possibilities and data, what variables should you test? A/B testing is effective, but usually gets you to a new control slowly (how many times have you tested, only to find the test performed under your control?). Multivariate testing enables you to isolate variables and get there faster, but it still takes several packages to confidently identify the winner. The use of Bayesian Analytics in direct mail now allows substantially more testing insight, cost savings and take less than half the time for insights than traditional testing. You must keep testing. Test outside your comfort zone. And let your prospective customers tell you what variables they’d respond to by using new methodology that delivers the emotional insights that big data can’t deliver.